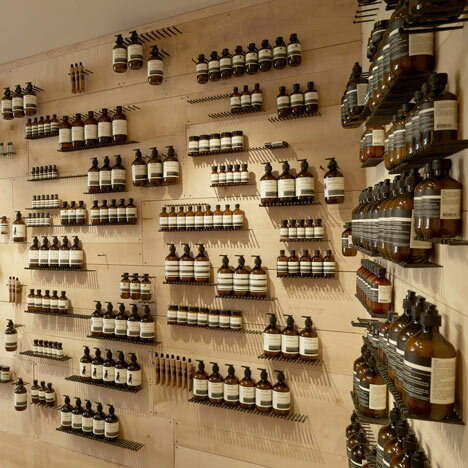 Hailing from Australia, Aesop creates divine hair and body products. 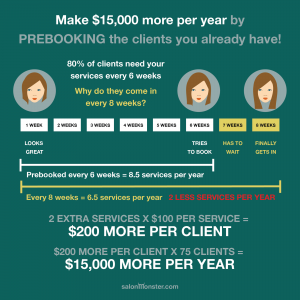 They market these products in individual stores which are all designed differently with impeccable taste and creativity. 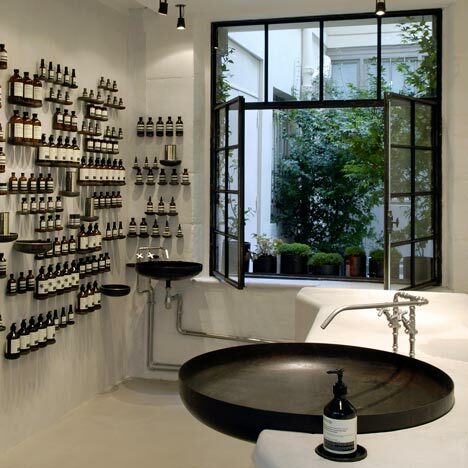 The design company Cigue has collaborated with Aesop on several occasions to create beautiful and unique stores all around Paris, France. 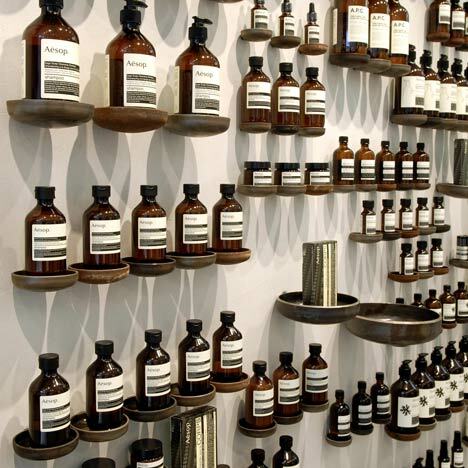 They’ve come up with some wonderful ways to best display the products. 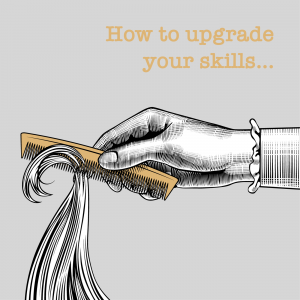 I thought I’d share some of their unique ideas with you in case you’re looking for new and inspiring ways to display product in your salon. 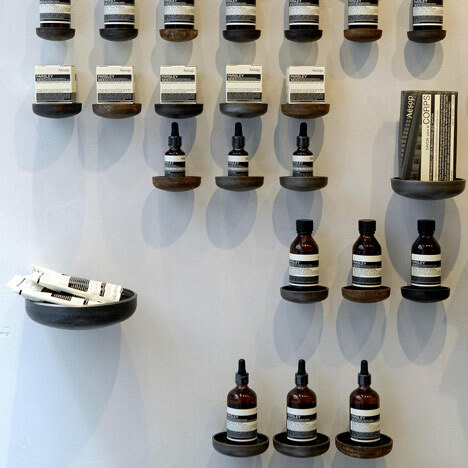 For their signature space in Paris on rue Tiquetonne, Cigue used shelving created from hand made wrought iron nails. 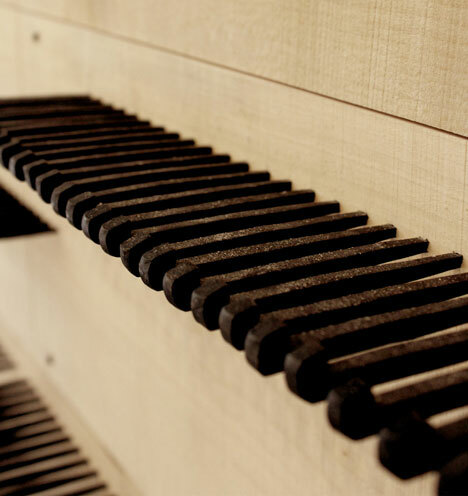 They used rows of these nails to act as product shelves. 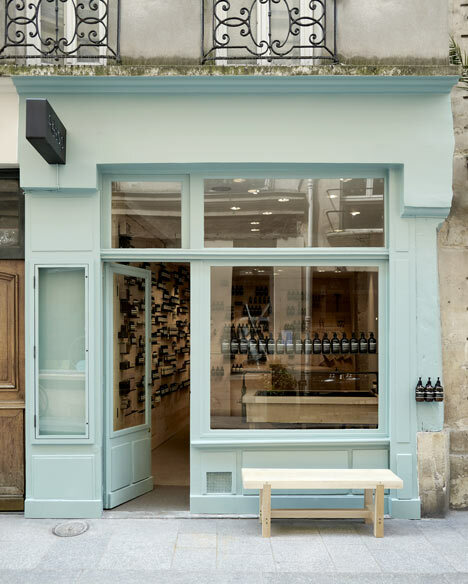 For their store in Le Marais, another of their Paris shops, the products sit on 427 steel caps from the city’s plumbing network. The caps were wall mounted and then filled with a clear resin to form a flat surface for the products to sit on. 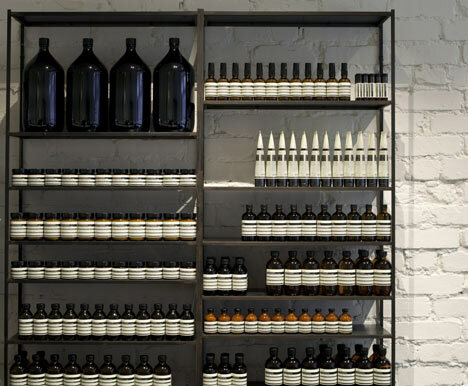 In their Islington Paris store, the inspiration for the space was a 1930’s medical laboratory. 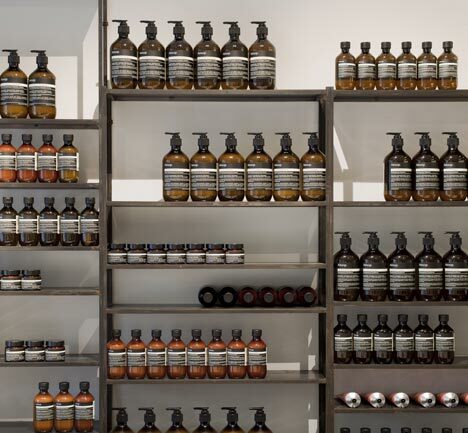 The use of dark metal shelving works great with the aesthetic of the space and holds a large amount of product. 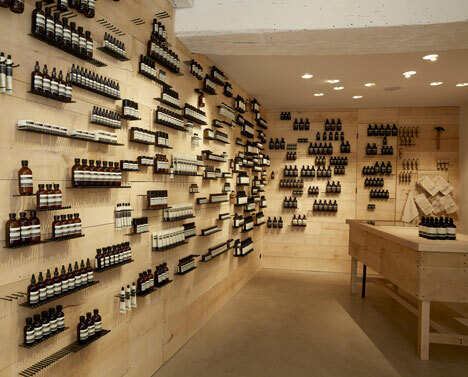 Aesop continues to create innovative and stylish retail shops. Hope you’ve enjoyed a peak inside their Paris spaces!